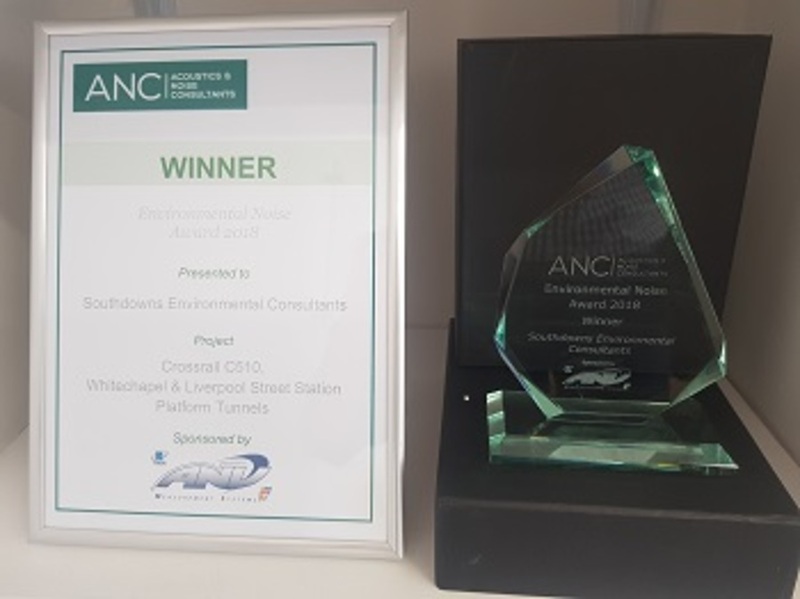 This project is the 2018 Association of Noise Consultants (ANC) Award Winner in the Environmental Noise Category. 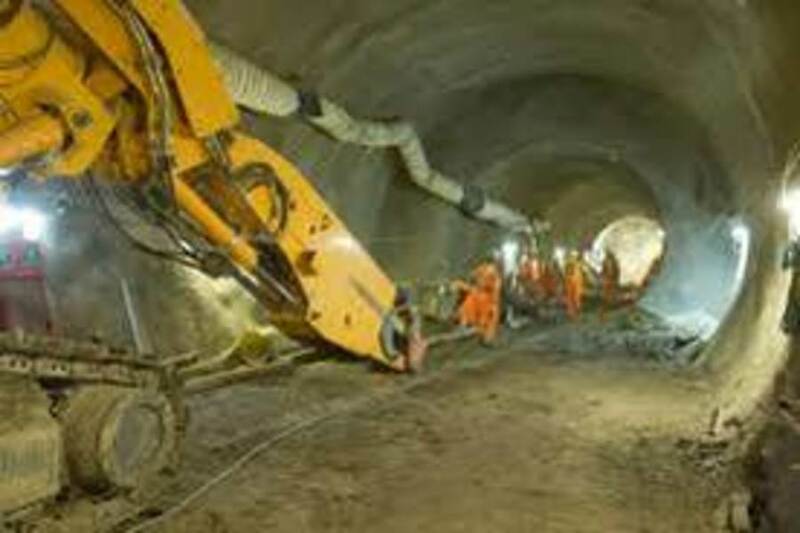 Southdowns was appointed as the noise and vibration specialists by the Balfour Beatty BeMO Alpine Morgan Sindall Vinci Joint Venture (BBMV JV) in 2011 to manage the contractor's requirements with respect to noise and vibration. 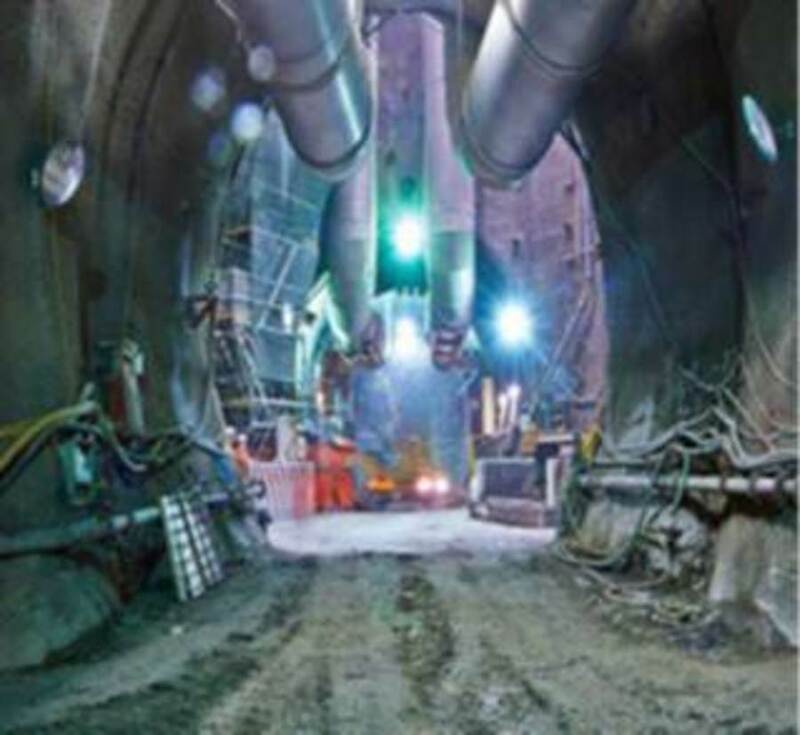 The C510 contract is widely regarded by the project as one of the more complex tunnelling packages due in part to the close proximity of residential and non-residential noise and vibration sensitive receptors to the main tunnel support worksites. The total value of the contract to BBMV JV was c. £225m. 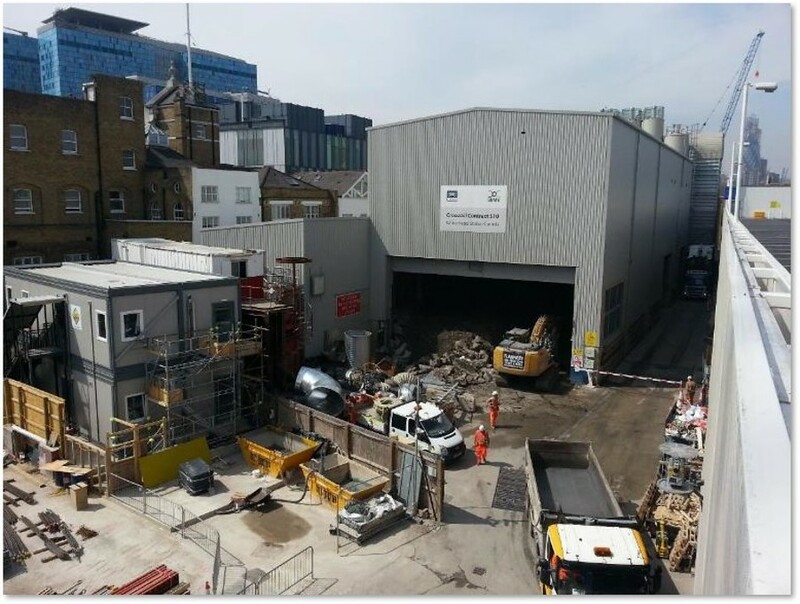 The work as required complete familiarity with assessments of construction noise and vibration, including the preparation of Section 61 consent application documentation and compliance studies against the Project's commitments. 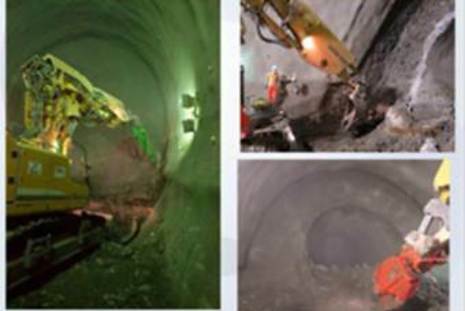 Specific works included the development of a bespoke groundborne noise vibration prediction model for Sprayed Concrete Lining works taking place within shafts and tunnels. The empirical model was developed and calibrated using hundreds of rapidly gathered measurements of sound pressure level and vibration magnitudes and validated using field data. 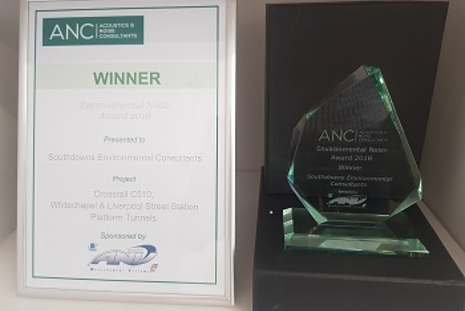 The model was deployed to manage impacts to the building occupants in the vicinity of the tunnel works and to assist the Project Manager in its community relations activities, including the discretionary offering of temporary re-housing for exceptionally affected occupants. Southdowns was involved in the detailed design of major noise and vibration mitigation measures to facilitate the continuous 24hr tunnelling and tunnelling support activities located between 5 m and 20 m from residential uses. 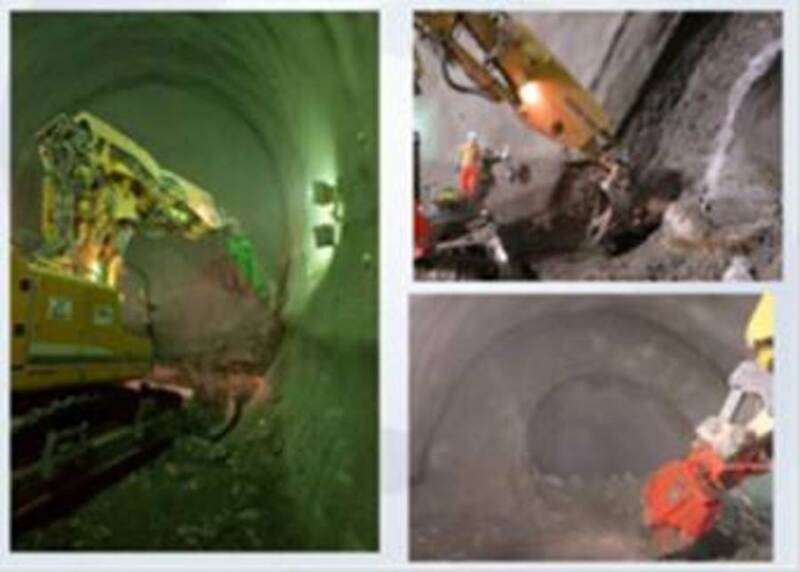 Activities requiring careful assessment and mitigation provision included: concrete breaking; 24/7 mining and mucking; in-tunnel SCL equipment; surface equipment; 24/7 batching plant to support the SCL works; supplies and deliveries; ventilation equipment; gantry crane vibration; 24/7 compensation grouting; and multiple adjacent contractors. 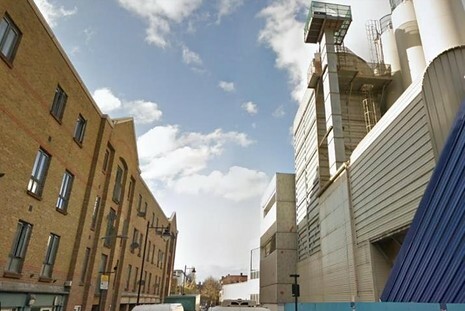 Southdowns were involved as part of the enquiry and tender evaluation team tasked with specifying and procuring the giant acoustic enclosure constructed around the access shaft, mucking area and integrated into the batching plant at the Whitechapel site. 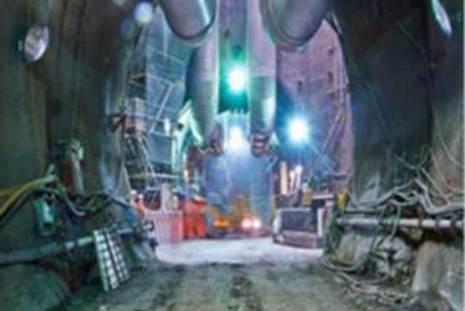 Further careful specification, design and testing was conducted to ensure that doorways, ventilation silencers, and gantry crane rail isolation all achieved the projects noise commitments. Given the sensitivity of the operations and the proximity of residential, educational and healthcare receptors, we recommended that the project deployed continuous real-time noise monitoring systems capable of alerting site personnel in advance of any breaches occurring, and capable of capturing high quality audio for later inspection should investigation be required. The systems were accessible by web, and other remote downloadable vibration meters were also deployed. 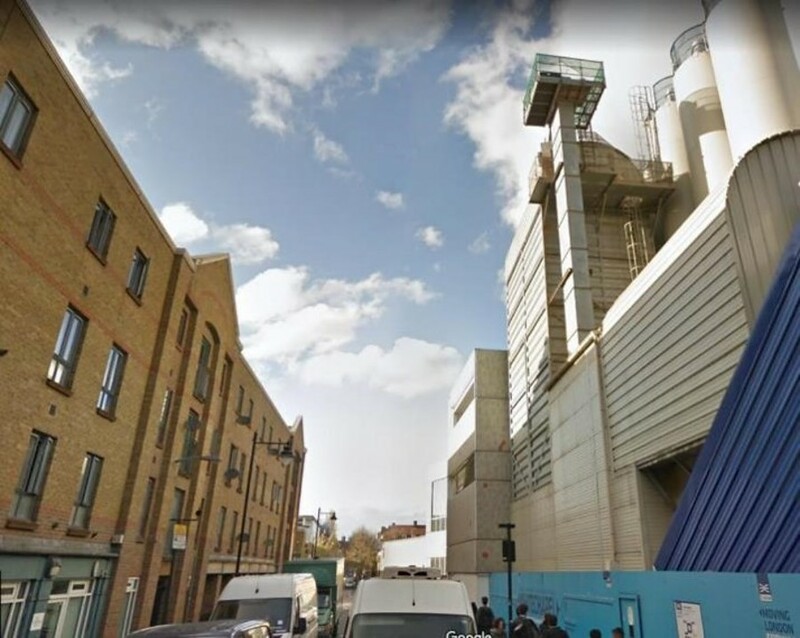 The Liverpool St worksite required the careful specification and mitigation of the conveyor system, drive motors and batching plant semi enclosures to ensure that projected noise levels would not be exceeded. To provide best value to our client, the repetitive works including the weekly compliance reporting of continuous monitoring data have been streamlined and automated where possible over the course of the contract. 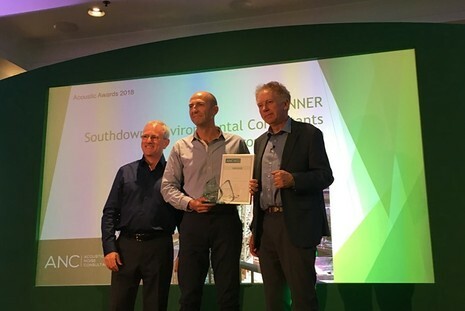 The innovative groundborne noise and vibration Mitigation Plan was devised by Southdowns as a means of preventing legal intervention by the Local Planning Authority on extensive noise and vibration complaints received during the SCL phases of the construction. Without this plan being effective, it is likely that the Local Authority would have sought legal powers to curtail the working hours to unworkable limitations. 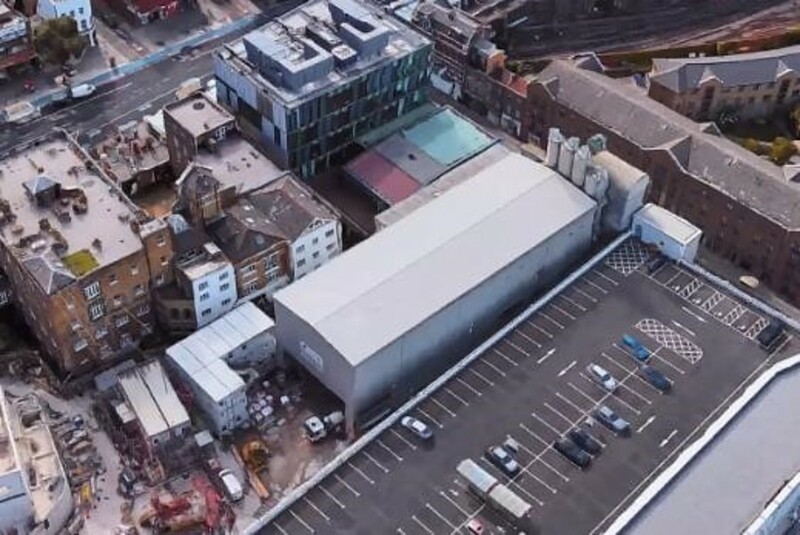 The effectiveness of the silenced ventilation system and the large acoustic enclosure has enabled our client to operate 24/7 unhindered despite working <10m from sensitive receptors. 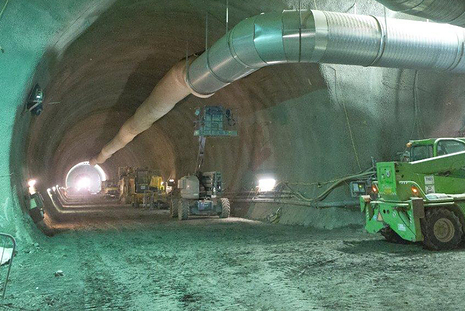 In turn this has meant that the client has achieved high production rates during tunnelling. 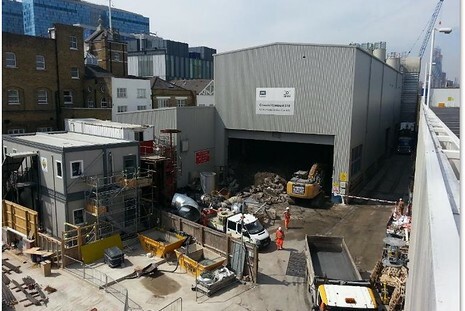 "Construction noise and vibration was a major issue for Crossrail and Whitechapel represented one of the greatest challenges on the project because of the scale and nature of the works in such close proximity to sensitive receptors, including Swanlea School. 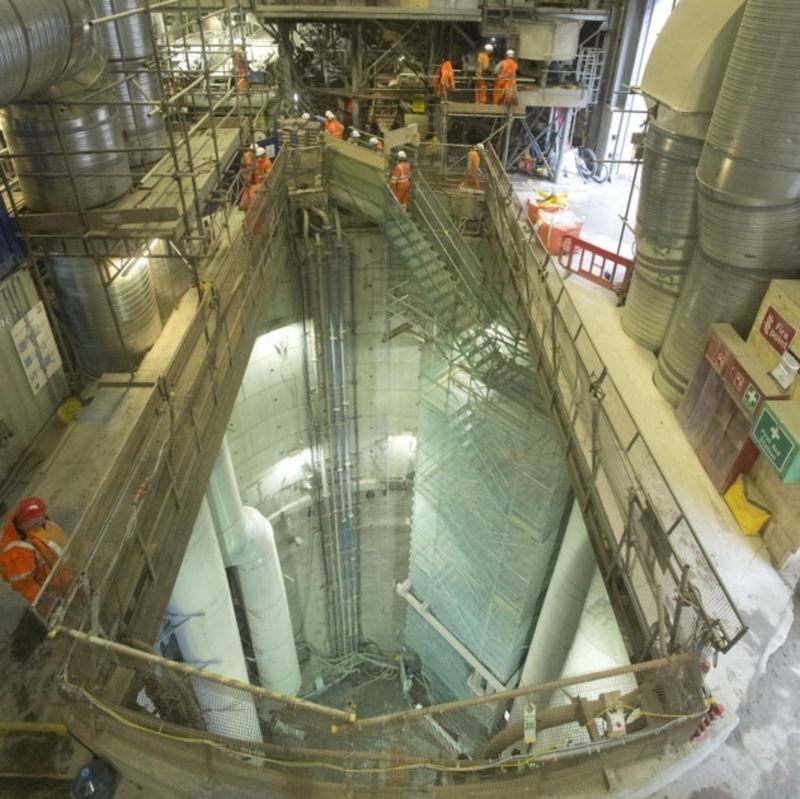 In response to these challenges the Crossrail contractors were asked to set new standards in terms of best practice and innovation. The C510 contract was highly successful in this regard and implemented a number of world class initiatives and management controls. The steps taken to manage construction noise and vibration were instrumental in reducing impacts on local communities and building trusted relationships with key stakeholders. 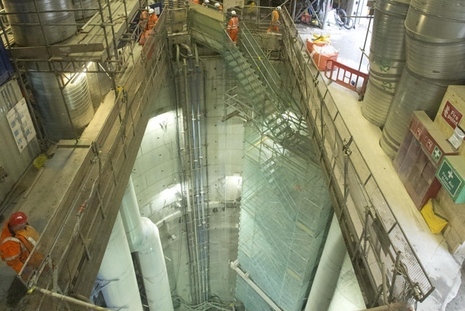 This work provided significant value for other Crossrail sites and for other nationally significant infrastructure schemes. 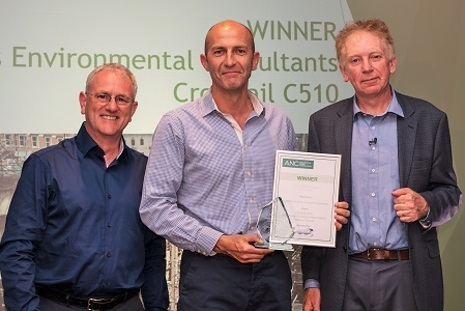 For example, a number of C510's initiatives are reported and recognised on the Crossrail learning legacy web-site. C510's contribution to Crossrail's legacy on construction noise and vibration was significant and is deserving of recognition."